Welcome to Holiday Inn Preston, a modern and stylish hotel in the City Centre, providing a great place to stay for business and for leisure. 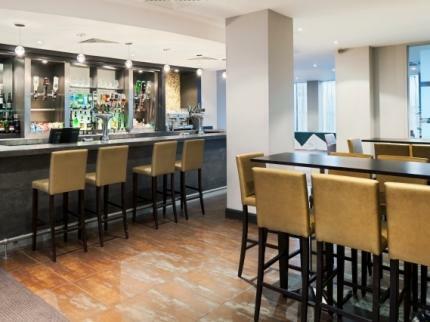 Holiday Inn Preston hotel is fully air-conditioned with all bedrooms offering high speed internet access & Wi-Fi is available in our bar lounge. With a full service Restaurant, Bar, Lounge and 24-hr room service, we can cater for all of your requirements. New tempting Seasonal Menus using fresh, local produce are well received. For leisure and family breaks the Hotel is a short distance from the Guild Hall & Charter Theatre, Preston North End F.C and National Football Museum. Every month, Preston's Farmers Market provides Lancashire's best in food, wine & beerThe Holiday Inn Preston hotel is a fantastic base to enjoy the Lancashire Countryside. Our strong rail and motorway links provide short journeys to Blackpool, the Ribble Valley, Lake District and Yorkshire Dales.The Holiday Inn Preston Hotel offers facilities for disabled guests along with accessible bedroom.The new Meetings & Training Centre provides the ideal venue for all business needs with wi-fi access, unlimited refreshments, natural daylight and desired privacy.